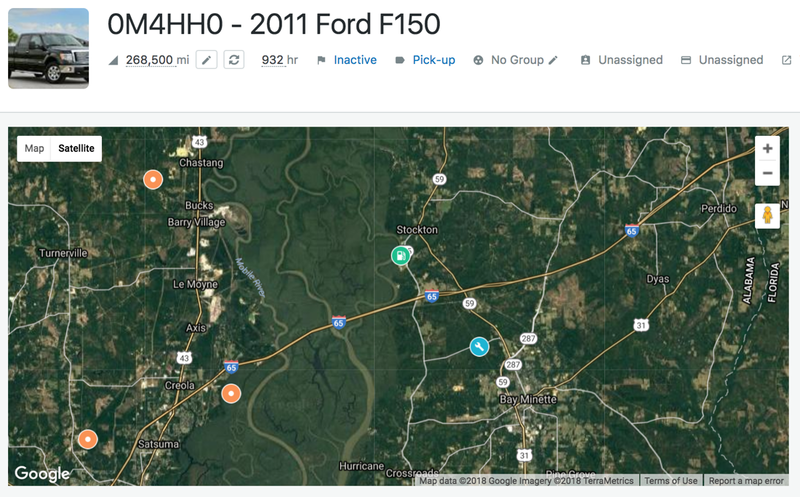 See the last known location of any vehicle based on fuel ups, inspections, service and GPS tracking integrations. 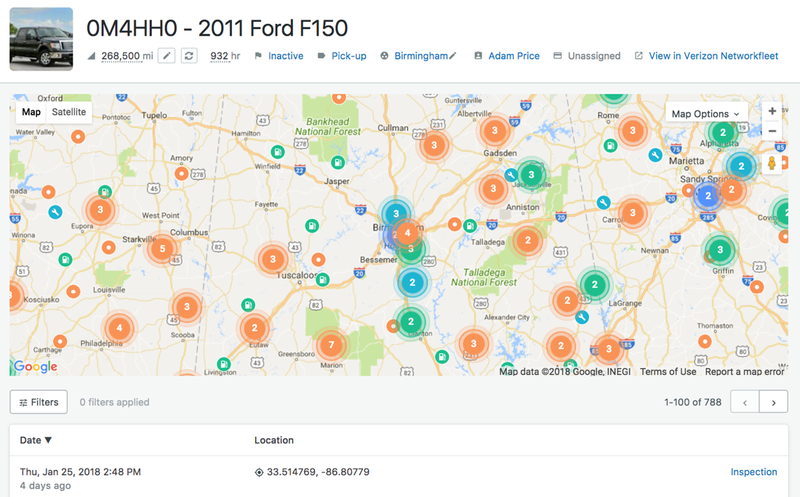 Your fleet vehicles are constantly on the move. 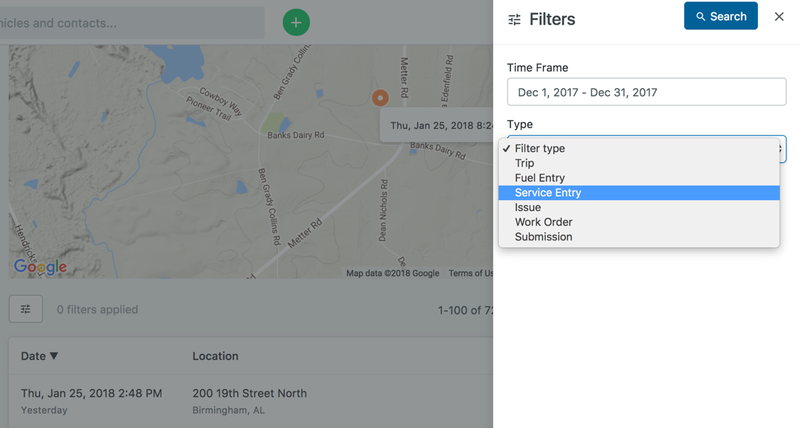 In Fleetio, you can easily see where they’ve been based on tasks and activities performed throughout the day— vehicle inspections, fuel ups, GPS tracking data and service work. 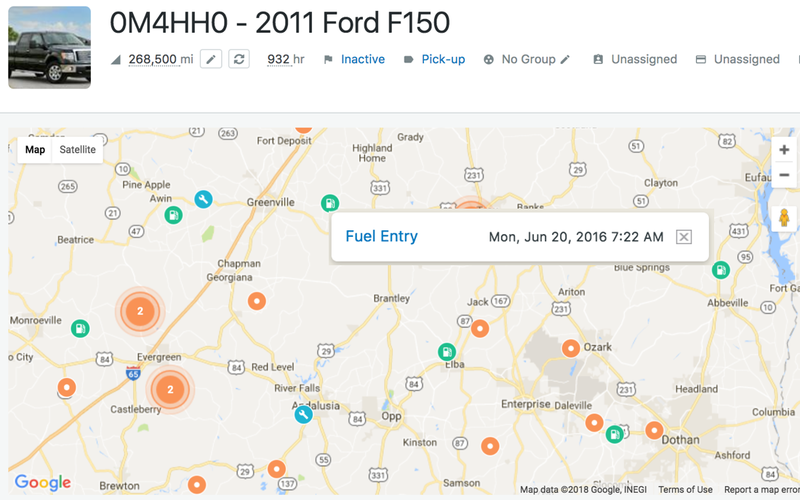 See your vehicles in the field— where they fuel up and GPS locations, helping you make the most of your drivers’ and vehicles’ time. 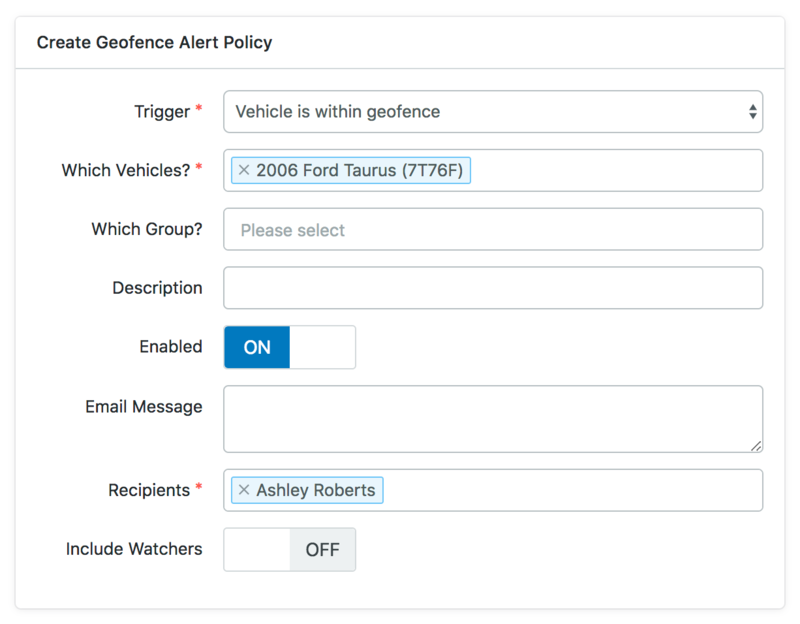 Receive an email when vehicles enter or exit geofences, ensuring you know your vehicles are where they need to be and manage exceptions.